Welcome to Steveston Athletic Association! 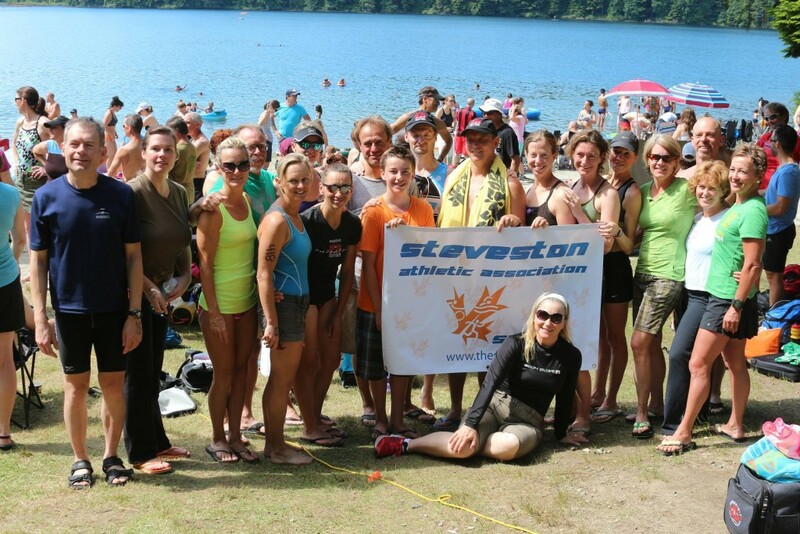 The Steveston Athletic Association (SAA) is for adults who are interested in swimming, biking and/or running. The club was originally started in the Steveston area, but we currently have members in Richmond, South Delta, Vancouver and South Fraser regions. We welcome all athletes, from beginners interested in improving their fitness or training for their first event, to seasoned veterans. Some of our members participate in a single sport, and some compete in triathlons of various distances including Sprint, Olympic, Half Iron and Ironman. Are you interested in triathlon but only know how to dog paddle? Or want to buy a bike but get overwhelmed by the sheer number of different bikes in the store? All you need is the willingness to learn, and our awesome coaches will help you achieve your goals! Our coaches provide swimming, biking and running sessions, as well as training advice and goal setting. Whether you’re interested in fun, fitness, or competition, we can help you achieve your goals and have a few laughs along the way with similar minded people. For information on joining the club, please see the Membership page. If you have any questions, please email info@thesaa.ca.